These answers are based on you running an ENK (sole proprietorship) and that you run your business from Norway. We always advice businesses to use an accountant. Spend your time to do what you know best, and let the accountants do what they know best. There are courses for new business in English in Oslo – check skatteetaten.no/kurs for more information. When you run your own business you pay taxes from the first NOK you earn. The limit of 50 000,- is related to VAT registration (Merverdigavgift). If one or more of these criteria are not fulfilled it is normally characterised as hobby (or that you should be an employee). We advice all businesses to use an accountant. To get an overview of all your obligations read altinn.no Start and run business. You can deduct all cost in relation to business. 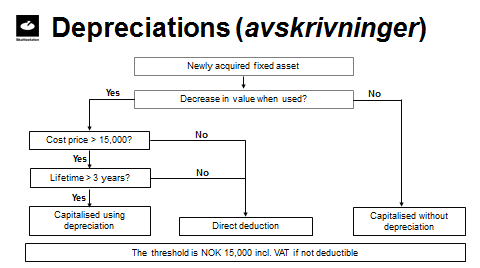 When a tool or equipement can last for 3 years or more and the cost is more then 15000 you can to use depreciation (when it is talk about tools/machines expected life it is only in relation to "regnskapsmessig avskrivning" for Limited companies (AS)). You can deduct the cost of the raw materials that you have used to produce products that has been sold (during the year in question). The remaining raw material is what you have in stock on Dec 31th. 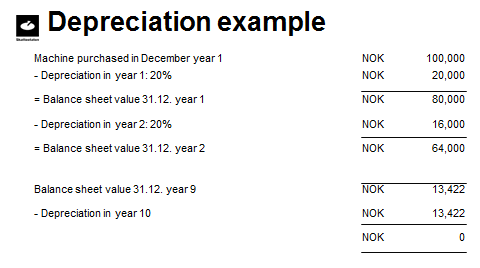 The actual cost of rent, electricity, transport and internet can normally be deducted the year the cost has been paid. 5. For those of us who are registered, what about the etsy tax collection on digital items? How does that affect the way we declare our income/vat? 6. I’ve reached the 50 000,- nok limit and registered for VAT…. But I mostly sell abroad, and hardly have any Norwegian customers. What is the simplest option for my small business, regular reporting or once a year ? If you have registered in 2017 you have to hand in every other month. And continue to do so for at least 1 year before you can apply to hand in once a year. - You must have handed in VAT correctly and by the due date for a minimum of 1 year. You must apply before February 1st. Whether you chose every other month or once a year, either way you need to keep good accounts. 7. Is there a number, or person from Skatteetaten we can call with etsy, ebay or international sales related questions ? Made In Norway is a team of ETSY sellers who sell handmade, and vintage items from Norway. We are a fun, friendly, creative, multinational and multilingual group of artists, artisans, crafters, and designers who appreciate handmade and traditional crafts. We sell on etsy.com, our own sites, and you might even meet some of us at markets and fairs around the country. Made In Norway - Norway rocks ! Made In Norway ETSY team 2017-2018. Simple theme. Powered by Blogger.